The mission of the Indiana Prospects Baseball Organization is to facilitate the necessary platform for development and ultimately exposure. We strive to provide our players with fundamental training, knowledge and the highest level of national competition. The organization works closely with high school and college coaches as well as professional scouts to ensure that our players receive the maximum exposure at the appropriate time. IP Alum and RHP J.J. Montgomery (Indianapolis, IN & the University of Central Florida) was taken in the 7th round (pick #205) of the 2018 Major League Baseball Draft by the Baltimore Orioles. IP Alum and LHP Ethan Larrison (Shelbyville, IN & Indiana State University) was taken in the 10th round (pick #489) of the 2018 Major League Baseball Draft by the Arizona Diamondbacks. IP Alum and LHP Tim Herrin (Terre Haute, IN & Indiana University) was taken in the 29th round (pick #883) of the 2018 Major League Baseball Draft by the Cleveland Indians. Class of 2019 1B Greyson Droste (Hamilton Southeastern H.S., Fishers, IN), a member of the Indiana Prospects 17U-Woolwine team, has committed to play baseball at the University of Akron. Class of 2019 MIF Chase Franz (Eastside H.S., Butler, IN), a member of the Indiana Prospects 17U-Smitherman team, has committed to play baseball at the University of Saint Francis. Class of 2019 LHP Tyler Smitherman (Westfield H.S., Westfield, IN), a member of the Indiana Prospects 17U-Smitherman team, has committed to play baseball at Anderson University. Class of 2019 Graham Gonzales MIF (Valparaiso H.S., Valparaiso, IN), a member of the Indiana Prospects 17U-Cooper team, has committed to play baseball at Prairie State College. Class of 2019 Parker Sutton OF (Avon H.S., Avon, IN), a member of the Indiana Prospects 17U-Cooper team, has committed to play baseball at Prairie State College. Class of 2019 Josh Slayton LHP (Lake Orion H.S., Lake Orion, MI), a member of the Indiana Prospects 17U-Walbaum team, has committed to play baseball at Bowling Green State University. Class of 2020 P Gabe Phipps (Yorktown H.S., Yorktown, IN), a member of the Indiana Prospects 17U-Fauquher team, has committed to play baseball at Butler University. Class of 2019 LHP Jacob Clark (Cowan H.S., Muncie, IN), a member of the Indiana Prospects 17U-Woolwine team, has committed to play baseball at the University of Akron. Class of 2019 Andrew Harding Commits to DePauw University! 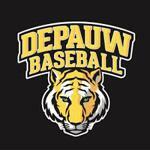 Class of 2019 P/INF Andrew Harding (Carmel H.S., Carmel, IN), a member of the Indiana Prospects 18U Lentz team, has committed to play baseball at DePauw University. 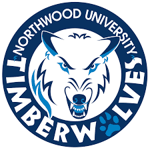 Class of 2019 INF Maalik Houston (Lawrence North H.S, Indianapolis, IN), a member of the Indiana Prospects 17U Downs team, has committed to play baseball at Northwood University . Class of 2019 OF Mason Hicks ( Hagerstown H.S., Hagerstown, IN), a member of the Indiana Prospects 17U Downs team, has committed to play baseball at Olney Central. Congrats, Mason! Go Blue Knights! Class of 2019 P/INF Harry Deliyannis (Bloomington North H.S., Bloomington, IN), a member of the Indiana Prospects 17U Walbaum team, has committed to play baseball at Pomona College. 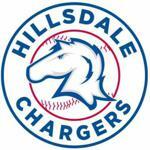 Class of 2019 P/INF Drew Olssen (Carmel H.S., Carmel, IN), a member of the Indiana Prospects 17U Walbaum team, has committed to play baseball at Hillsdale College. Class of 2019 P/IF Sean Swenson (Brebeuf Jesuit H.S., Indianapolis, IN), a member of the Indiana Prospects 17U-Downs team, has committed to play baseball at University of Charleston. Congrats, Sean! Go Golden Eagels! Class of 2019 LHP Connor Ayres (McCutcheon H.S., Lafayette, IN), a member of the Indiana Prospects 17U-Downs team, has committed to play baseball at University of Charleston. Congrats, Connor! Go Golden Eagels! Class of 2020 MIF Jackson Taylor (Yorktown H.S., Yorktown, IN), a member of the Indiana Prospects 17U Fauquher team, has committed to play baseball at Indiana State University. Class of 2019 P Blake Sarjent (McCutcheon H.S., Lafayette, IN), a member of the Indiana Prospects 17U-Downs team, has committed to play baseball at Butler University. Class of 2019 P/IF Brayton Reed (Terre Haute South H.S., Terre Haute, IN), a member of the Indiana Prospects 17U Walbaum team, has committed to play baseball at Olney Central. Congrats, Brayton! Go Blue Knights! Class of 2019 Tucker Platt (Logansport H.S., Logansport, IN), a member of the Indiana Prospects 17U Walbaum team, has committed to play baseball at Olney Central. Congrats, Tucker! 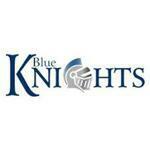 Go Blue Knights! Class of 2020 RHP/3B Jake Shirk (Carroll H.S., Fort Wayne, IN), a member of the Indiana Prospects 17U Fauquher team, has committed to play baseball at Wright State University. Class of 2019 C/1B Landen Freestone (Shenandoah H.S., Chesterfield, IN), a member of the Indiana Prospects 17U-Downs team, has committed to play baseball at Anderson University. Class of 2019 OF/LHP Julian Greenwell (Columbus East H.S., Columbus, IN), a member of the Indiana Prospects 17U Woolwine team, has committed to play baseball at Wright State University. Class of 2019 LHP Tyler Schweitzer (Hamilton Southeastern H.S.,Fishers, IN), a member of the Indiana Prospects 17U Woolwine team, has committed to play baseball at Ball State University. 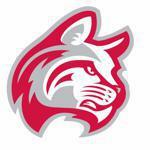 Class of 2019 C Colby Jenkins (New Palestine H.S., New Palestine, IN), a member of the Indiana Prospects 17U-Woolwine team, has committed to play baseball at Indiana Wesleyan University. Class of 2019 C Max Kercheval (North Central H.S., Indianapolis, IN), a member of the Indiana Prospects 17U-Downs team, has committed to play baseball at Wabash College. Congrats, Max! Go Little Giants! Class of 2019 1B Brayden Lentz (Carmel H.S., Noblesville, IN), a member of the Indiana Prospects 17U-Walbaum team, has committed to play baseball at Wabash College. Congrats, Brayden! Go Little Giants! Class of 2019 RHP/1B Jake Lautenschlager (West Vigo H.S., Terre Haute, IN), a member of the Indiana Prospects 17U-Walbaum team, has committed to play baseball at Purdue University. Class of 2019 RHP/SS Reece Rodabaugh (Lewis Cass H.S., Walton, IN), a member of the Indiana Prospects 17U-Walbaum team, has committed to play baseball at Purdue University. 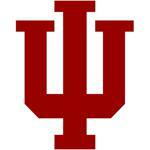 Class of 2019 LHP/1B/OF Jack Walker (New Palestine H.S., New Palestine, IN), a member of the Indiana Prospects 17U-Woolwine team, has committed to play baseball at Indiana University. Class of 2020 SS/3B Aiden HInds (Delta H.S., Muncie, IN), a member of the Indiana Prospects 16U-Hinds team, has committed to play baseball at Ball State University. Class of 2019 2B/SS Brady Walden (Noblesville H.S., Noblesville, IN), a member of the Indiana Prospects 17U-Walbaum team, has committed to play baseball at Wabash College. Congrats, Brady! Go Little Giants! Class of 2019 SS/OF Seth Wilson (Monroe Central H.S., Parker City, IN), a member of the Indiana Prospects 17U-Woolwine team, has committed to play baseball at Ball State University. Click the 2019 tryout tab above to register. Follow IP on Twitter and Like us on Facebook using the icons below. The Indiana Prospects have a proud history of players moving on to the next level. ©2019 Indiana Prospects Baseball Organization / SportsEngine. All Rights Reserved.